How did MTEC do since its release six months ago? 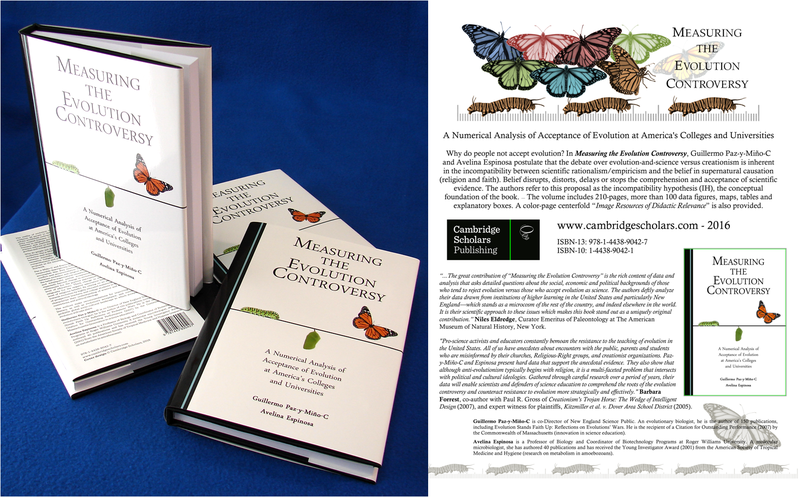 Our 2016 book, Measuring the Evolution Controversy, came out in June (06-01-06) and is now available at 47 major libraries worldwide (hard copy and/or electronic edition). We learned about it via a search on worldcat.org. 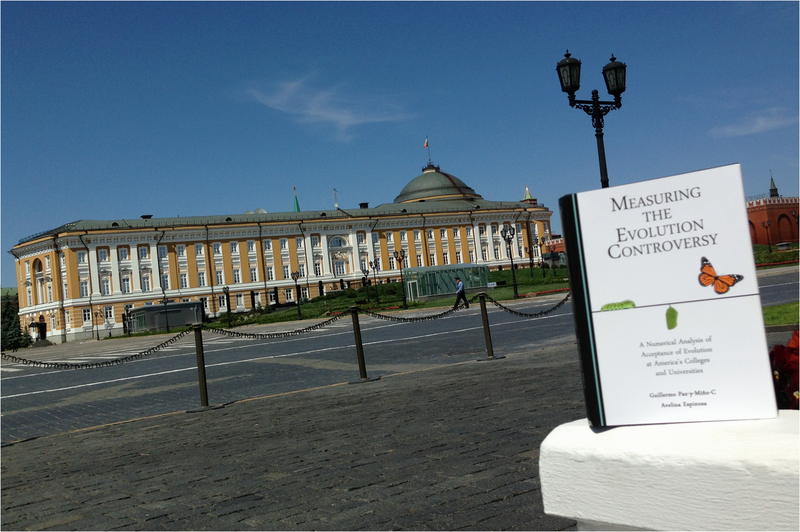 Here are some selfies of MTEC captured in different settings and cities; we have taken the book out quite a lot. Thus, more than a “book tour,” it has been a tour of the book. The images are shown in no particular order. The last one is our favorite. Enjoy! And best wishes for 2017 to our friends, colleagues and followers — @gpazymino – @EvoLiteracy – Facebook – ResearchGate – Academia.edu. 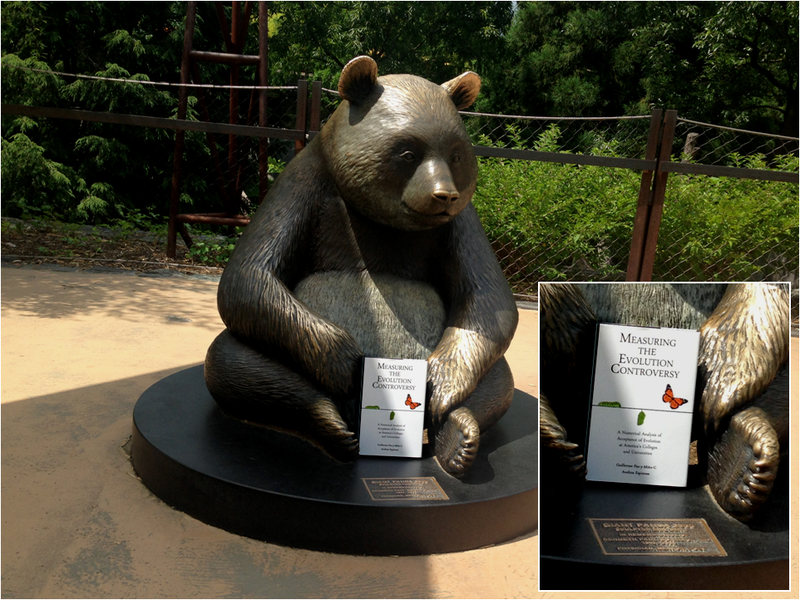 Above: MTEC at the National Zoo in Washington DC. Above: MTEC with clones and advertising flyer (click on image to enlarge). 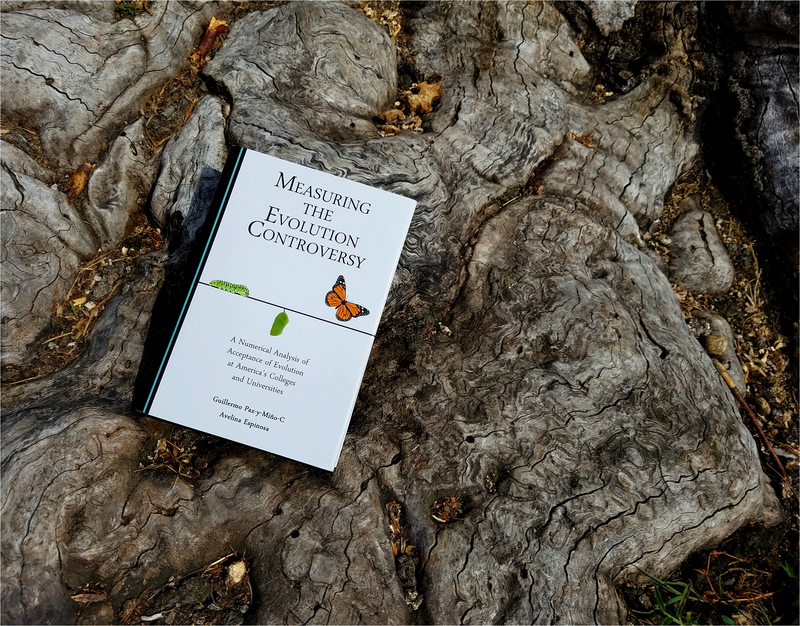 “The great contribution of ‘Measuring the Evolution Controversy’ is the rich content of data and analysis that asks detailed questions about the social, economic and political backgrounds of those who tend to reject evolution vs. those who accept evolution as science. 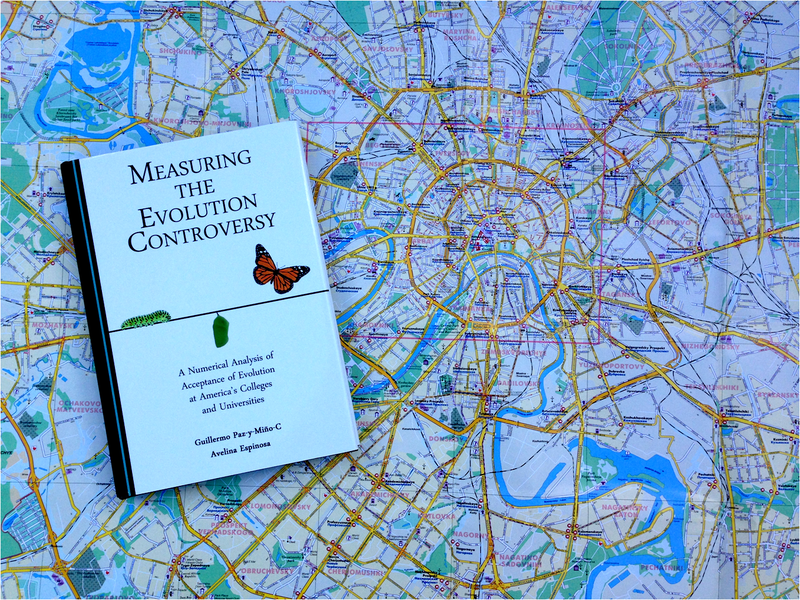 Paz-y-Miño-C and Espinosa deftly analyze their data drawn from institutions of higher learning in the United States and particularly New England —which stands as a microcosm of the rest of the country, and indeed elsewhere in the world. 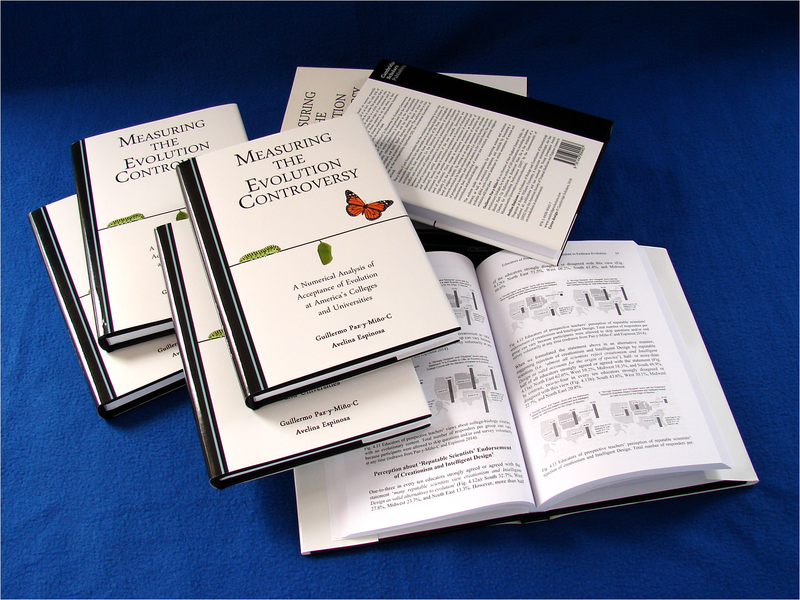 It is their scientific approach to these issues which makes this book stand out as a uniquely original contribution.” — Niles Eldredge, PhD, Curator Emeritus of Paleontology at The American Museum of Natural History, New York. Above: MTEC posing with a “canvas” of books (painted on the wall), Boston; 4th of July. 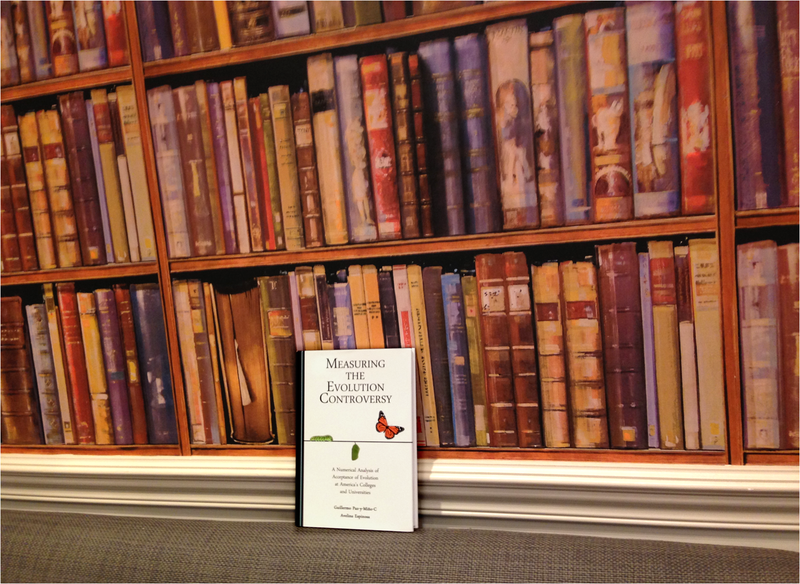 Above: MTEC posing with book companions when they all were featured as “books of the month” by Cambridge Scholars. If you missed this, it was quite an opportunity because the prize went down to 40 percent during promotion. Now it is back to its regular price. 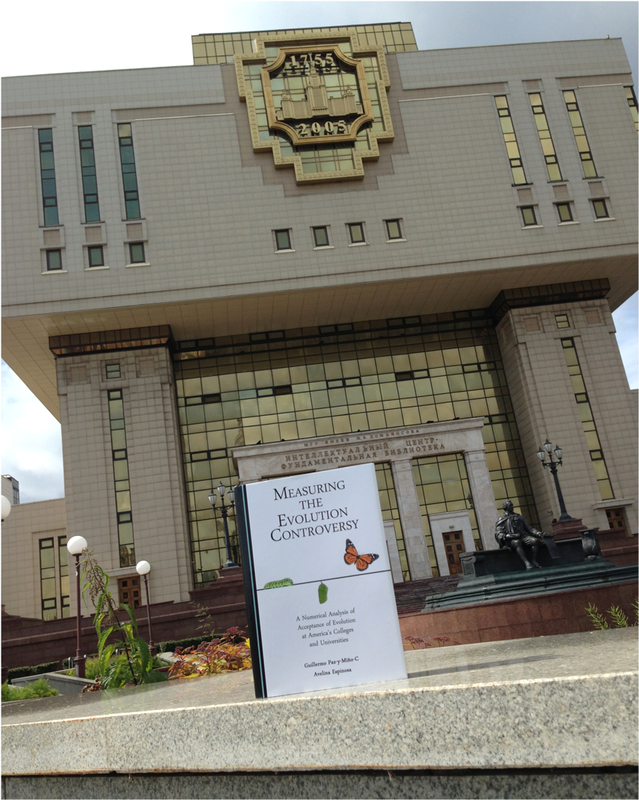 Above: MTEC at the downtown campus of Lomonosov Moscow State University, Russia. Quite a stop to start our official visit to Moscow. The old university campus is located nearby the Kremlin. The new campus is located South of the city’s center. Above: MTEC with companions posing a bit serious for formal photography. Above: MTEC in Provincetown, Massachusetts. At the famous “First Landing Place of the Pilgrims, November 11, 1620.” See close up below. 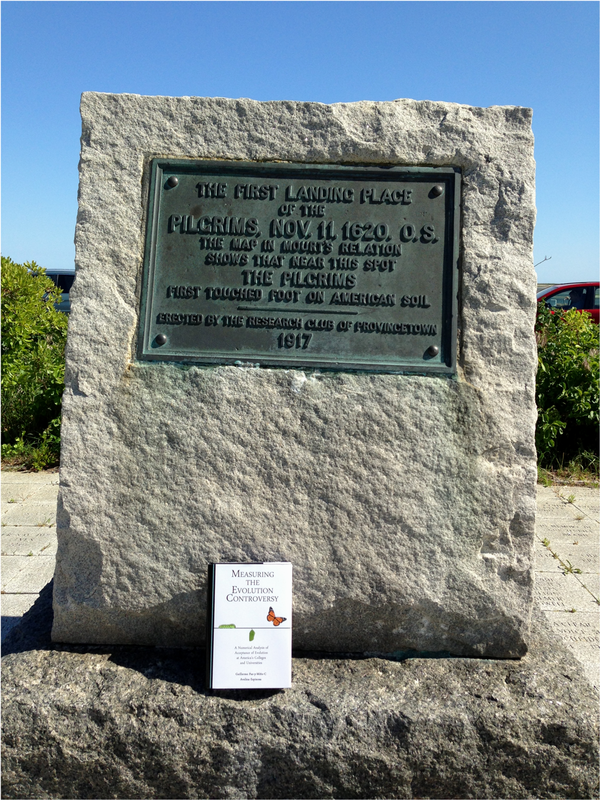 Above: MTEC at the famous “First Landing Place of the Pilgrims, November 11, 1620” in Provincetown, Massachusetts. 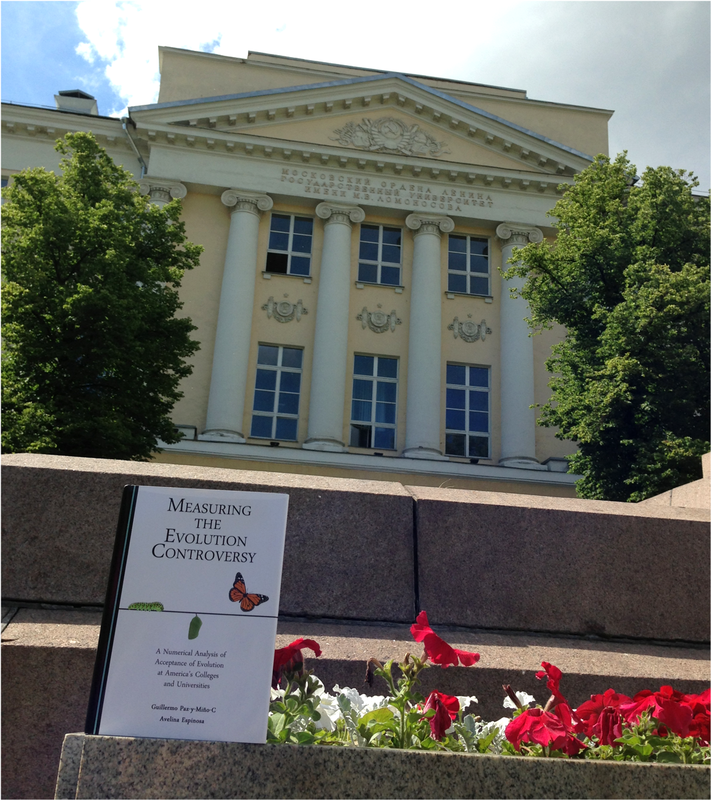 Above: MTEC enjoying a lovely day outside the Library of Lomonosov Moscow State University. 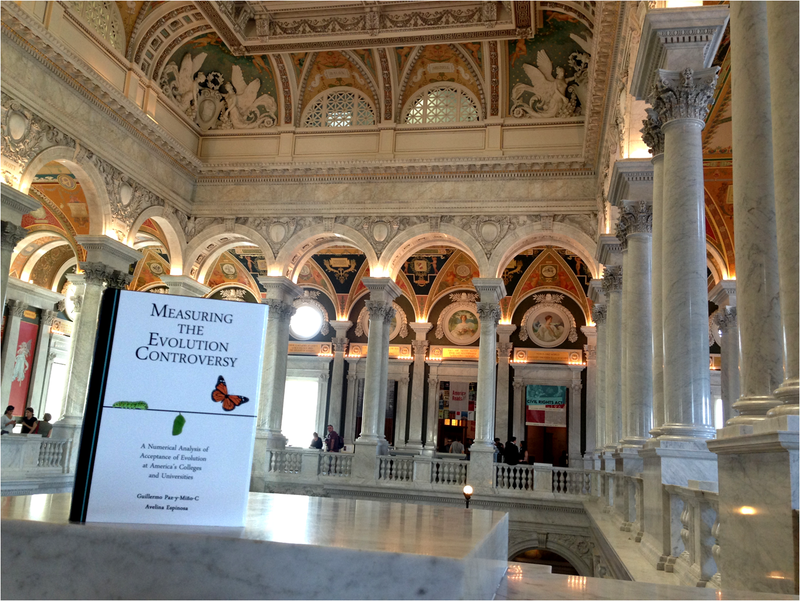 MTEC was not allowed in the Library due to lack of proper “pass,” which was required for visitors. In any event, the book took some time for selfies and promotion. 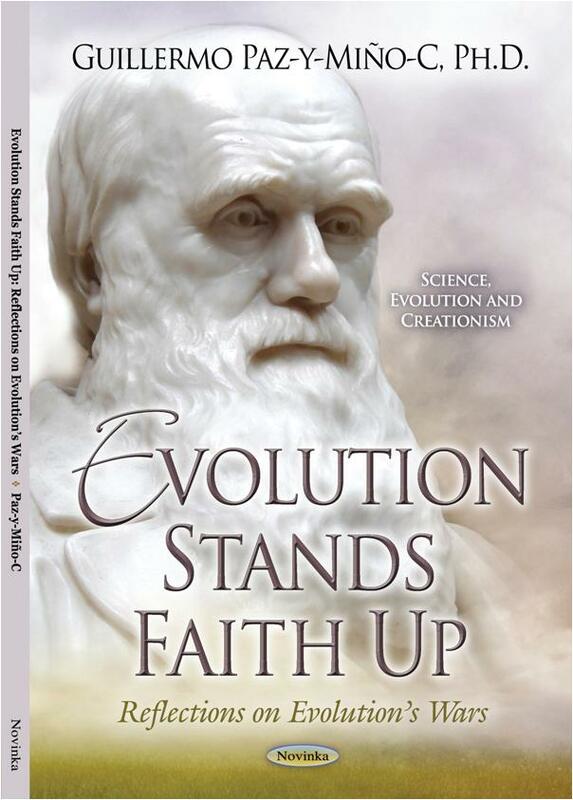 Above: MTEC with its kin… Evolution Stands Faith Up (2013). 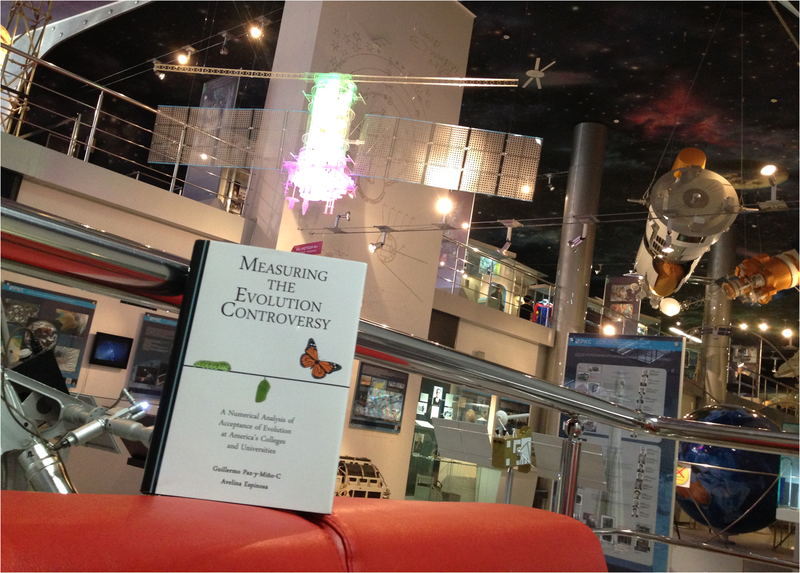 Above: MTEC at the Memorial Museum of Cosmonautics in Moscow, Russia. 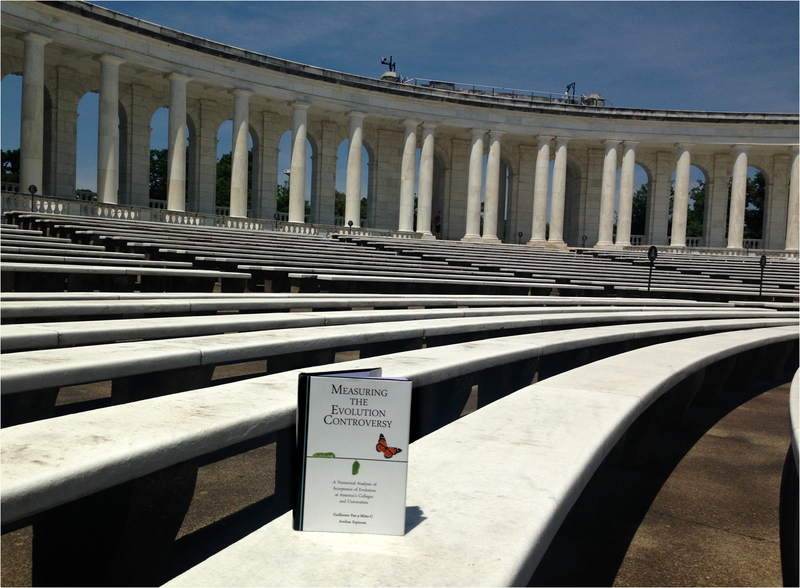 Above: MTEC at the Arlington National Cemetery in Virginia, US. 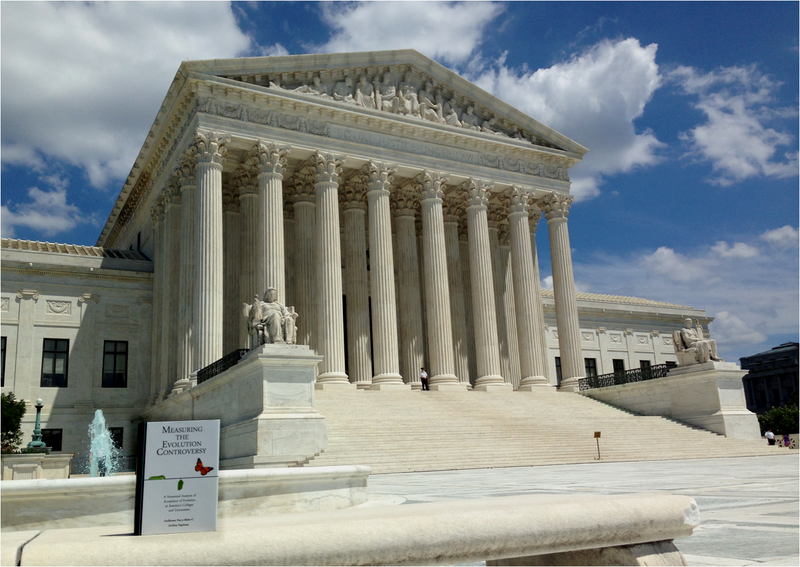 Above: MTEC at the Supreme Court of the United States in DC. Above: MTEC and clones showing maps content. 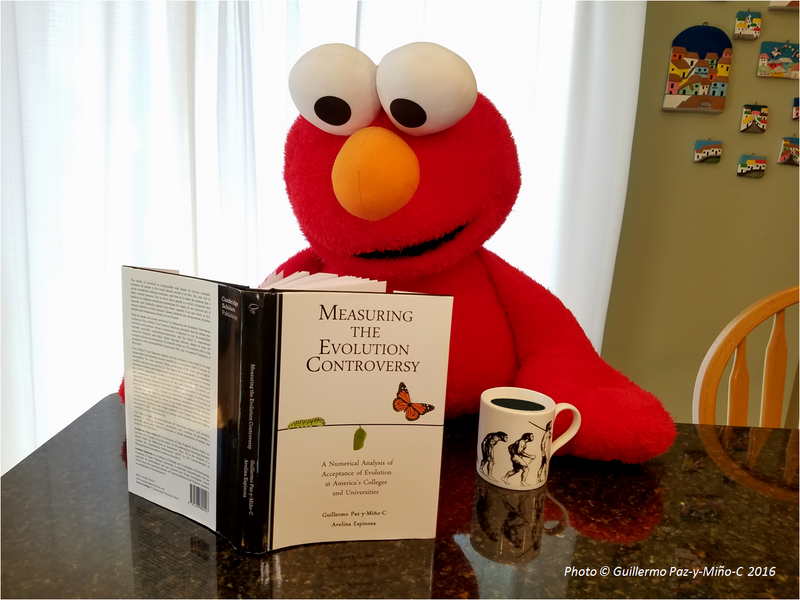 “Pro-science activists and educators constantly bemoan the resistance to the teaching of evolution in the United States. All of us have anecdotes about encounters with the public, parents and students who are misinformed by their churches, Religious-Right groups, and creationist organizations. Paz-y-Miño-C and Espinosa present hard data that support the anecdotal evidence. 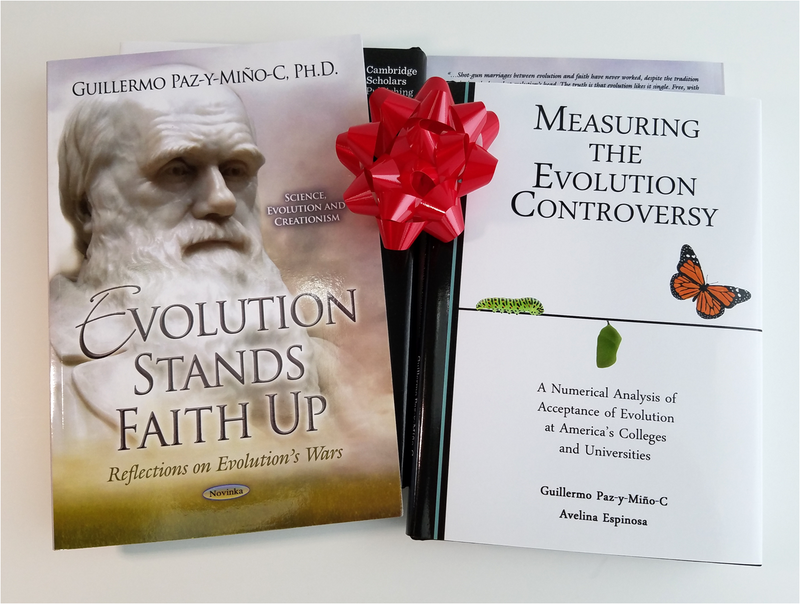 They also show that although anti-evolutionism typically begins with religion, it is a multi-faceted problem that intersects with political and cultural ideologies. 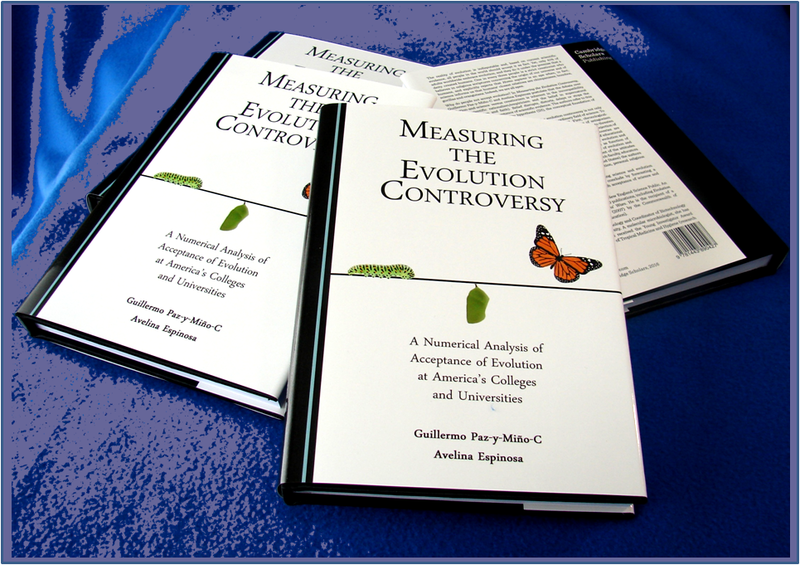 Gathered through careful research over a period of years, their data will enable scientists and defenders of science education to comprehend the roots of the evolution controversy and counteract resistance to evolution more strategically and effectively.” — Barbara Forrest, PhD, co-author with Paul R. Gross of Creationism’s Trojan Horse: The Wedge of Intelligent Design (2007), and expert witness for plaintiffs, Kitzmiller et al. v. Dover Area School District (2005). 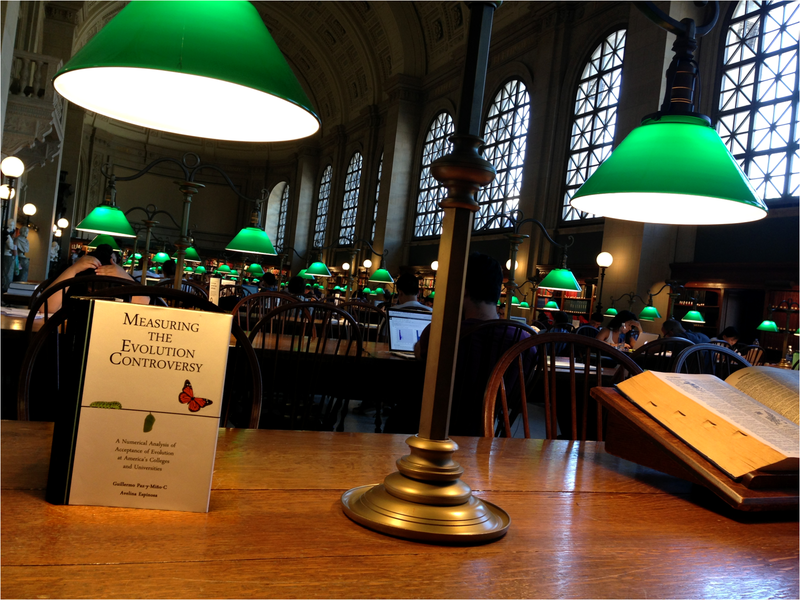 Above: MTEC at the Boston Public Library. Above: MTEC planning the next day’s activities in Moscow. The Metro system is quite efficient to explore the city’s historic buildings, monuments and museums. 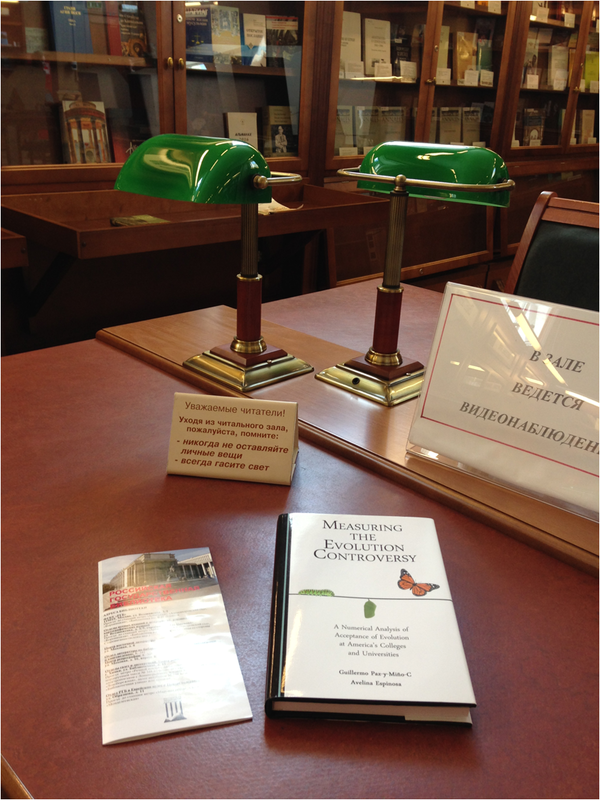 Above: MTEC enjoying a visit to one of the reading rooms at the Russian State Library in Moscow. Above: MTEC posing before The Senate, Kremlin, Moscow. Above: MTEC resting on an old tree outside the Newport Public Library in Rhode Island, US. 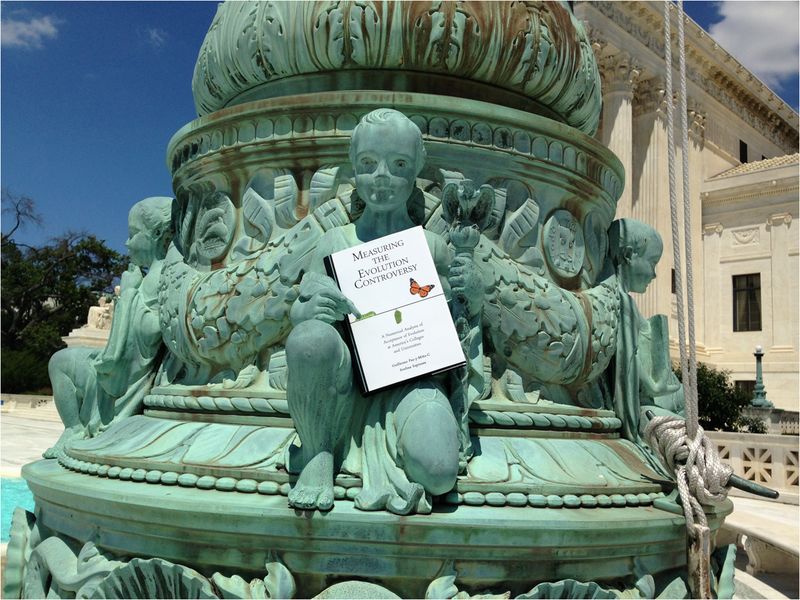 Above: MTEC outside the Supreme Court of the United States in DC.